Counter Cyber PSYOP – Military Mission? An old Internet adage is “no one knows you’re a dog on the Internet”. As it turns out in many cases, no one knows who you are at all – and that may be that is a good thing. The New York Times of 25 Mar 15 ran an article “Behind a Veil of Anonymity, Online Vigilantes Battle Islamic State” (see: http://www.nytimes.com/2015/03/25/world/middleeast/behind-a-veil-of-anonymity-online-vigilantes-battle-the-islamic-state.html, which is also the photo source). The essence of the article is that there is a group of anonymous ‘hackers’ who patrol Social Media in search of Daesh proponents and supporters. These individuals purportedly take the cyber battle to these accounts, particularly on Twitter and Facebook. The article also emphasizes that a significant number of this cyber vigilantes are women. This is a global battlefield and for the moment let’s make the assumption that the targets of these hackers are not in the US. Assuming this to be the case, one could argue that the mission of countering Daesh propaganda is a military one and should be undertaken by MISO personnel. By way of precedent – I think it’s pretty safe to presume that the Chinese info warriors are heavily engaged on behalf of their government in such venues. Given the labor-intensive nature of social media, this would seem to give the Chinese, never at a loss for personnel, a significant advantage. Perhaps it is time for us to take a page out of their playbook for a change. In addition, the high proportion of civilians and non-state actors engaged in social media on behalf of our enemies mitigates for significant resources, military and civilian to counter the influence threat. Continuing with the argument does this mean that there needs to be a partnership between civilian and MISO social media counter Daesh personnel? I’d argue that this is not the case. The leaderless counter-Daesh force should continue in is anonymity while the real question before the community is should MISO (heavily reserve based perhaps) be ‘deployed’ (actually working from home station) as a counter force to Daesh Social Media propaganda? I’ll leave that answer to you. Are We Ready to Outsource Influence Operations Once And For All? Daesh’s ability to exploit Twitter as a propaganda and recruiting resource has been very prominent in the media. One article, “Three Steps to Destroy ISIS on Twitter” (See: http://www.defenseone.com/technology/2015/03/three-steps-destroy-isis-twitter/107910/?oref=d-river) takes the view that there is a logical way to thwart these efforts. 1. 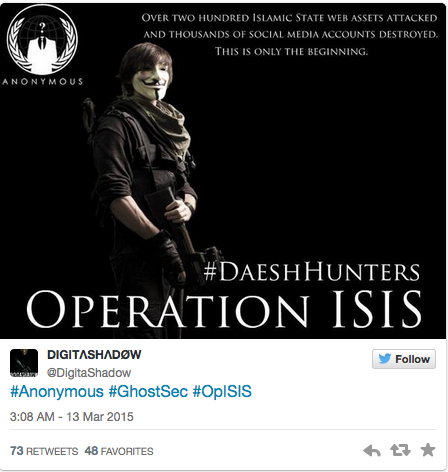 Take a networked approach to identifying pro-ISIS accounts for suspension. 2. Outsource counter-messaging to a party that can actually be effective. 3. Twitter should become more like Facebook and YouTube. The track record of the government as a global influencer, especially in areas of the world where the US has historically been unpopular, is not good. Both Department of State and Department of Defense have been at the influence game for some time and both have been subject to criticism in Congress and elsewhere. Yet the problem remains. Clearly it is in the best interest of the US government to get the best bang for the buck with its influence dollar. And reasonable people would agree that influence is a keep function of government, yet no workable alternative has been proposed. If Cabinet level departments are ineffectual and contractors are too profit driven – what’s the right answer? There’s a Tina Turner song that goes “We don’t need another hero.”, but actually that’s not true. Everyone needs heroes. Personification, that is putting a face on an intangible, makes it more real. Just as Mickey Mouse conjures up Disney and Superman, Batman, Captain America and others stimulate the imagination through comic books. Any time you can put a face on a concept – you have helped people visualize and identify with that concept. 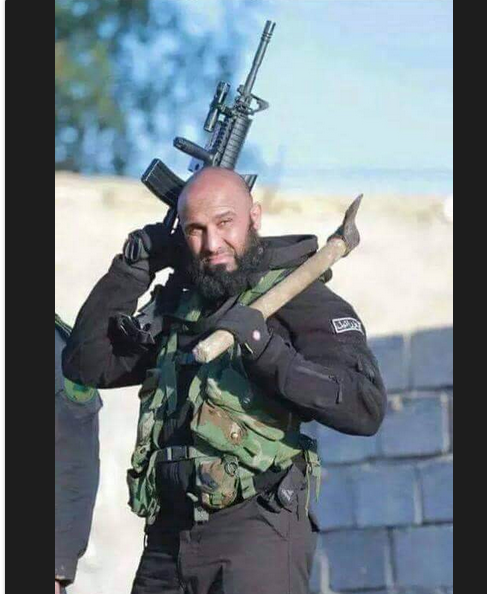 In this case it would appear that the Iraqis want to picture a hero in the struggle against ISIS. In this case, a hero has been created that personifies their ideals and provides inspiration. The hero here is an average person, a university professor, who has now taken on a higher calling. In this case a new kind of warrior is on display to help others rally to the cause and provide whatever support they can. This kind of personification is especially important at both ends of the digital/literacy spectrum. At the upper end, the immediacy of Twitter, Flicker and other social networks helps to promote the image and its cause. When dealing with a population that has a low literacy rate, the importance of images increases, perhaps exponentially because the target audience is unable to process written communications. The bottom line is that personification is an old fashioned tool that still works well, even in the digital age. 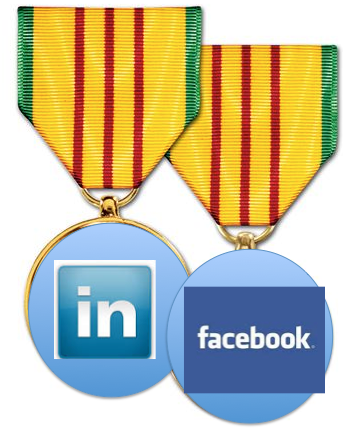 Next PSYOP Combat Badge: Social Media? DOD has hired its first Digital Media Director. Defense One (see: http://www.defenseone.com/technology/2015/03/pentagon-hires-first-digital-media-director/106854/?oref=d-river) reported that Stephanie Dreyer will be the Pentagon’s first “director for digital media and strategy, will be tasked specifically with strategizing around the use of social media” to foster communication between the SecDef and the Public. Once upon a time, a long time ago, when I reported to ROTC Summer Camp at the Indiantown Gap Military Reservation, affectionately known as IGMR, I remember being told that every man is an infantryman. Today every soldier, especially MISO personnel is a social media warrior. If a stodgy and incredibly large organization such as DOD recognizes that social media is a critical influence resource, it follows that each of us in the Community needs to be capable of firing that weapons system just as we are capable of firing our personally assigned weapons. This implies that all personnel within DOD receive some level of training and guidance on the use of social media. We have all seen the OPSEC implications of providing too much out there, but not many of us have been fortunate enough to have a ‘rabbi’ to teach us the in’s and outs of social media. Personally, I think I’m pretty good at FaceBook and LinkedIn, but frankly I haven’t given a ‘tweet’ about the others. Perhaps this kind of self-examination is appropriate considering that this is my 400th Blog entry since the start of the Regimental Blog. While I don’t’ get much in the way of communications from Fort Bragg or the USAR units, I try to provide useful material and references for the community as best as I can. I’d like to thank you as readers and especially those of you out there who have been interested enough to send me your comments. Input as to future postings is welcome.